By clv4@duke.edu in OIT Training, TechTips on April 26, 2015 . Log into your Duke Box account (http://duke.box.com). 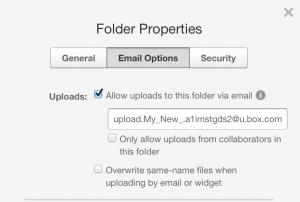 Then go to More > Upload Options > Email Files to this Folder. 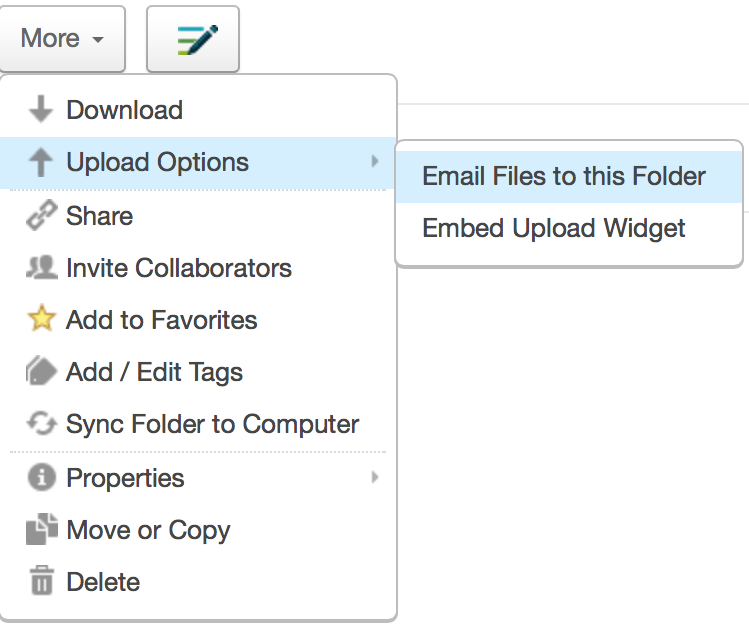 When the Email Options tab in the Folder Properties window, select the Allow uploads to this folder via email option. 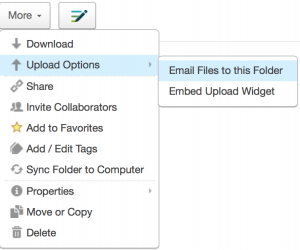 A unique email address will be generated for the folder. 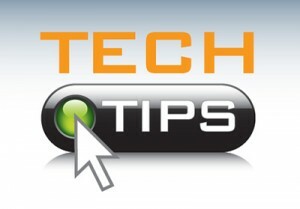 The cumulative size of the attachments cannot exceed 80 MB (or 25 MB when sending from your Duke email account).